Showing results by author "John Lockwood"
On April 14, 1860, the day Fort Sumter fell to Confederate forces, Washington, D.C. - surrounded by slave states and minimally defended - was ripe for invasion. 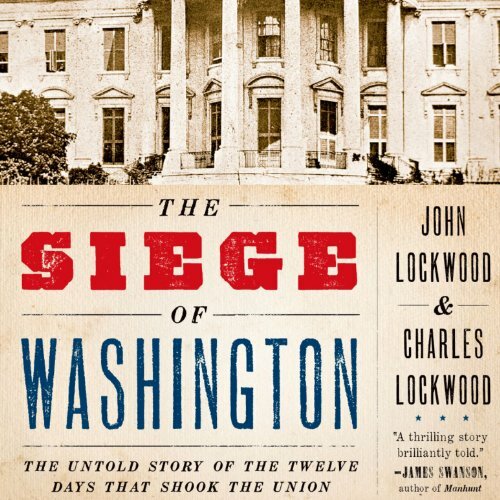 In The Siege of Washington, John and Charles Lockwood offer a heart-pounding, minute-by-minute account of the first twelve days of the Civil War, when the fate of the Union hung in the balance. The fall of Washington would have been a disaster: it would have crippled the federal government, left the remaining Northern states in disarray, and almost certainly triggered the secession of Maryland.